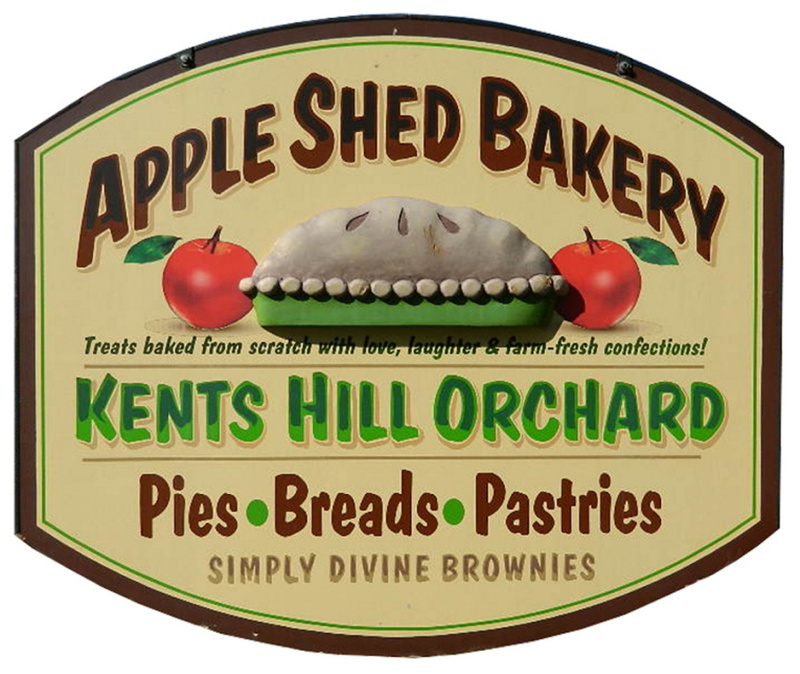 As we picked out lunch and dinner items at the Apple Shed Bakery in Kents Hill, customers were raving about the food. Wayne Niles told me he and his wife, Diane, love the chicken stew with dumplings. Marcie Hastings was disappointed that there’d be no more tomato pie. But she saved the day by telling owner Trina Beaulier where she could still get fresh tomatoes, and Trina promised to do that and call Marcie when the pies are ready. That’s the kind of customer service you get here. George has started a series called Travel Trocities in his Travel Talk blog on this newspaper’s website. If you have a travel horror story, he’d love to hear it. Email it to georgesmithmaine.com. And that is why some folks literally buy all their meals here. Trina is a retired teacher who built a national business called Simply Divine Brownies. Her brownies have been featured on lots of TV shows including “Oprah” and the “Today” show, and on the Food Network. After retiring, she and her husband, Bill (who got some big pluses from me for choosing their excellent beer selection), sold their Cumberland home five years ago and moved to their summer home on Echo Lake, purchasing the Apple Shed from the Drakes, who also owned an apple orchard there. I enjoyed a conversation with Mary Melcher, who started working here for the Drakes right out of high school, washing dishes and waiting on customers. Today she’s a baker, considered by Trina to be her sixth child. They are also blessed by Dave Cote, who comes in to bake at 2:30 a.m. and works until noon. Dave worked in New Hampshire but moved to Monmouth with his wife, a Maine native, and is truly a master baker. Trina cooks here, too. When we arrived, she was making a tasty cranberry salsa using cranberries from Ricker Hill Farm. 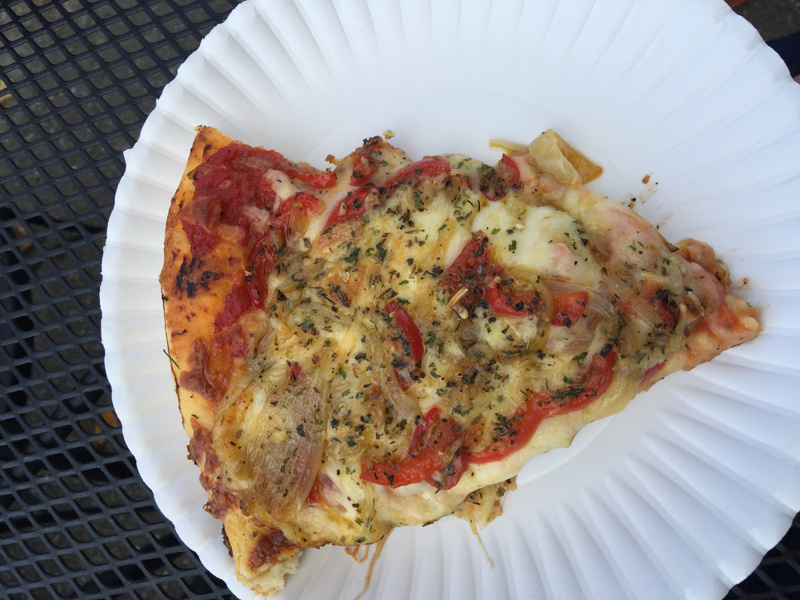 Their most popular items are pizza (which they make for breakfast, lunch and dinner) and baked bars. I had a strawberry-rhubarb turnover and oh, it was soooo good. I was excited to learn that their brownies now can be made with your favorite digital photo on them. Perhaps we’ll have Travelin’ Maine(rs) brownies soon! 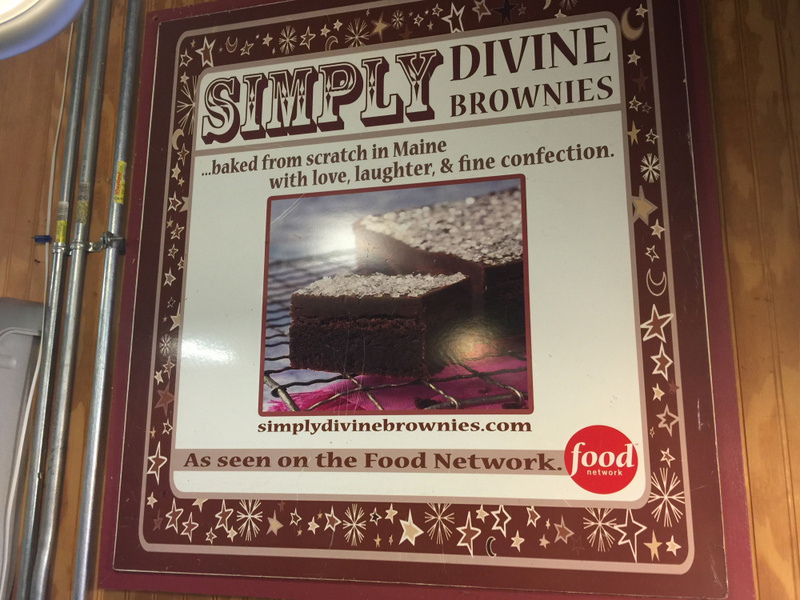 You can order all the Simply Divine Brownies products on their website. My Dad and his friend Irma loved the pizzas here, so Linda and I each chose a slice of caramelized onion and roasted pepper pizza ($2.95) for lunch. It was thick, tasty and filling. 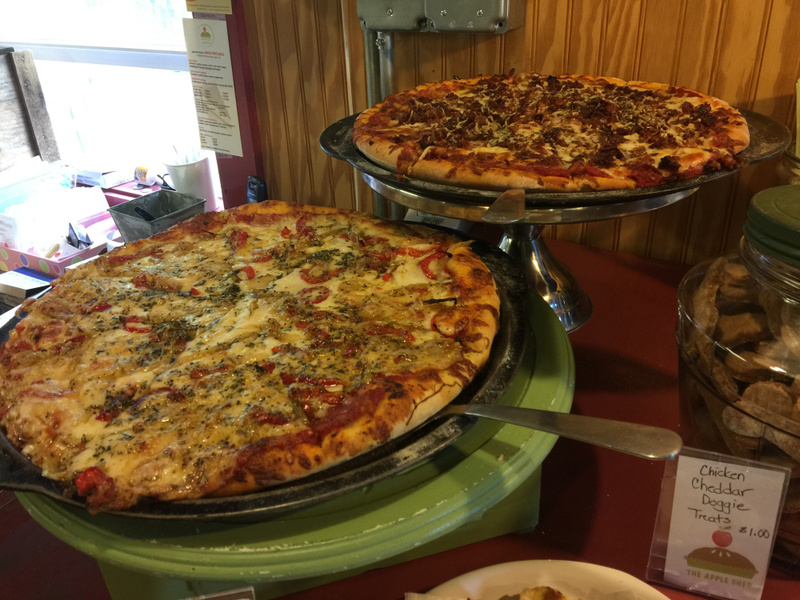 You must call by 10 a.m. to order an entire pizza for lunch or dinner because the crust is made from scratch by Dave before he leaves at noon. Their dinner items rotate on a two-week cycle. Specials are added daily and everything is made with fresh produce. I was impressed with their chicken pot pie, which includes 2 pounds of chicken. They make 50 on Saturday and have none left by the end of the day. 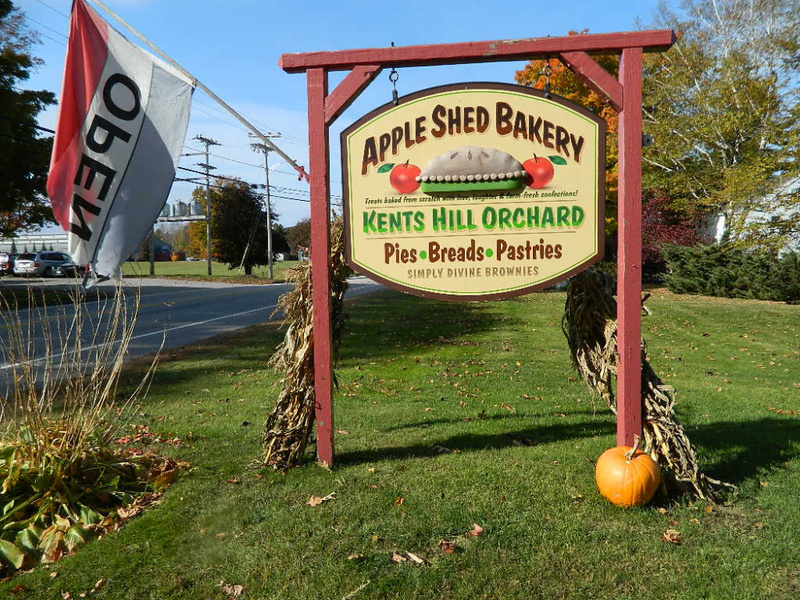 Their catering business also keeps them busy, and they have many regular business customers, some of whom offer personalized baked goods to their new customers. Sometimes you find a gem right nearby even though it has been there right along. This was the case when we recently had lunch at the Apple Shed. Yes, it’s been there for years, but up until now we haven’t taken advantage of all the great food produced there. Now that we know how great their food is, we are hooked. 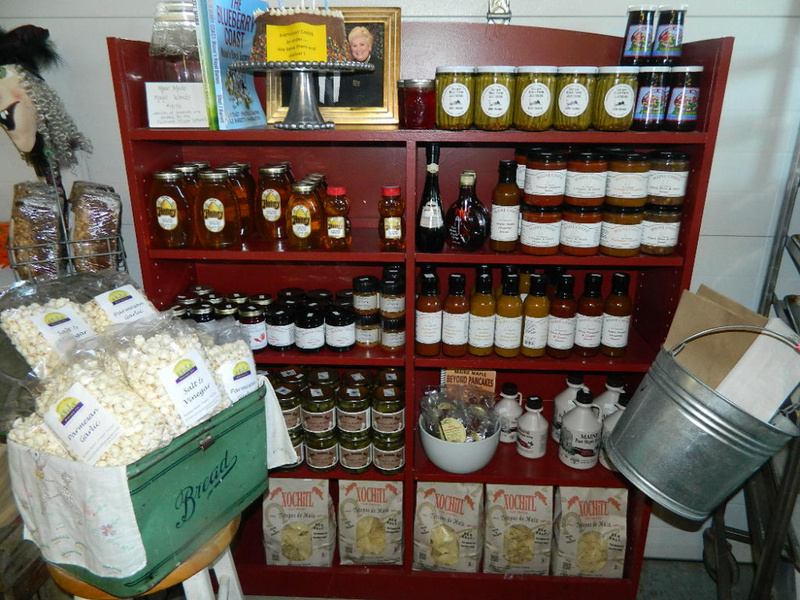 Upon entering the store, I was taken with all of the local products they carry. 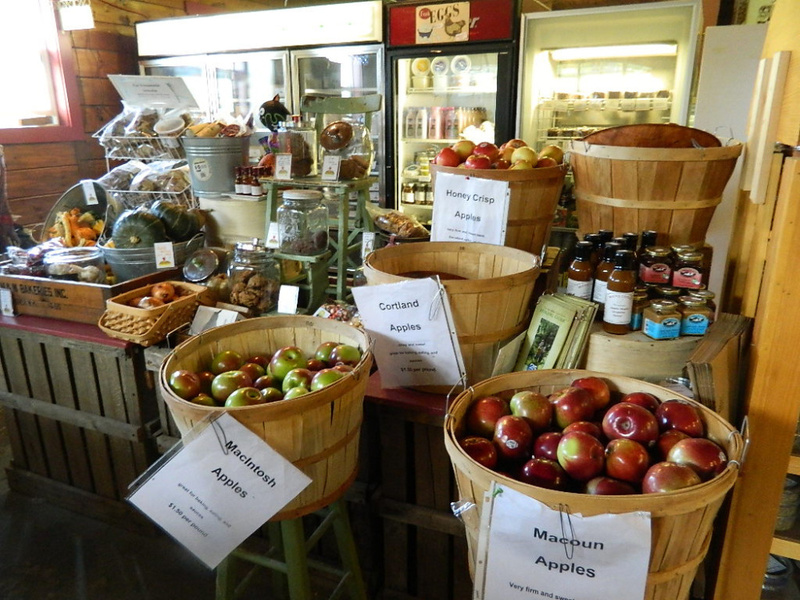 Of course, really delicious-looking apples were prominent, with a great array of other fresh seasonal produce. I found so many companies that I didn’t even know existed — Bert’s Awesome Stuff (Farmington), Maine Chef’s salsa and jams (Rockland) and seasonings from Meadowbourne Pantry (Monmouth) were just a few. 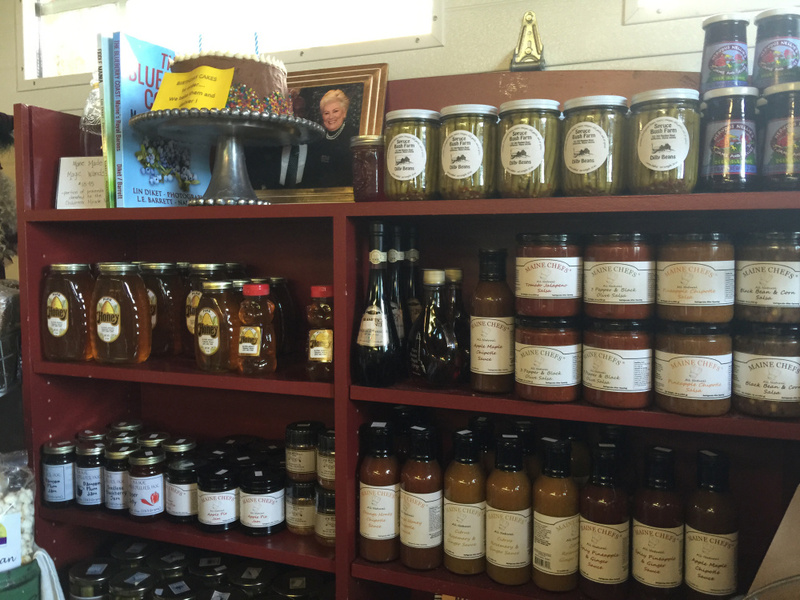 In the cooler you’ll find Kennebec Cheeses and Smiling Hill Farm products. That day, they were expecting their first order of fresh pastas supplied from Blue Ribbon Farm in Mercer. But the staff at the Apple Shed is industrious in their own right. They make their own pickles and salsas from fresh seasonal ingredients. One glance around and you’ll realize they know their way around pastries and baked goods! There’s great variety here — bars, turnovers, biscuits (cheddar!) and the most addictive breads I’ve had in a long time. They are also known for their pies and cinnamon rolls. The biggest problem I see here is trying to make a choice. They make wonderful soups, too. There were two soups and a chili in the cooler the day we visited. For dinner at home that night we had a cup of their fresh tomato and orzo soup that was fantastic. The orzo was a nice contrast to the smooth puree of fresh tomatoes and cream. The entree that day was Chicken Divan, but it was way better than the version I make. Trina remarked, “We put a lot of what’s good in it!” Our 8-inch tin was loaded with tender, moist chicken and broccoli. It was the creamy topping with a hint of curry that made the casserole so yummy. And because it was so big, it was enough for two meals. I’d chosen a coconut macaroon for dessert. The bottom of these luscious things are dipped in dark chocolate. I was glad I waited until evening to dig into my dessert. George had consumed his turnover hours ago and was eyeing my macaroon. In the future, we’ll be getting two macaroons and eating them at the same time!